I have been waiting for the moment to record Debussy’s music for some time. While playing his pieces I had the urge to keep playing, to keep discovering the colours, the touch, almost trying to reach for a perfection, which of course is not possible; and the further I went, the deeper I looked, I kept discovering endless possibilities for fantasy, and the images flew one after another into my head. I did not want my next CD to be just the next CD; I wanted to do something useful and as we are often discussing the lack of classical music education among children and young people, I decided to do something about it from my side and organized workshops mostly for children, but also for adults. I decided that the best way for me to awaken musical interest in children, to really lead them through music, was via drawings, so I asked them to close their eyes, to listen to the sound, rhythm, harmony, melody and imagine what would it look like if this piece was a drawing or a painting. Debussy’s music was perfect for this project, as he gives you endless space for imagination. The result was unexpected even for me, the enthusiasm that I saw in my young public’s eyes and the range of fantasy was truly amazing. I worked with more than 200 children and received more than 200 beautiful drawings. I may not have changed the world, but at least I opened the doors to music to some children and I hope they will follow the route to this beautiful Muse throughout the years. Born and raised in Tbilisi, Nino Gvetadze studied with Veronika Tumanishvili, Nodar Gabunia and Nana Khubutia. After her graduation Nino moved to the Netherlands to study with Paul Komen and Jan Wijn. Nino has received various awards, including Second Prize, Press Prize and Audience Award at the International Franz Liszt Piano Competition 2008. She received the prestigious Borletti-Buitoni Trust Award 2010. Nino Gvetadze has performed with many outstanding conductors such as Michel Plasson, Yannick Nézet-Séguin, Michel Tabachnik, John Axelrod and Jaap van Zweden and with the Rotterdam, The Hague, Brussels, Seoul and Netherlands Philharmonic, Bergische and the Rheinische Philharmonie amongst others. She has toured with the Mahler Chamber Orchestra, Kammerakademie Potsdam and Amsterdam Sinfonietta. Nino has given various recitals all over the world, including Hannover (PRO MUSICA Preisträger am Klavier-Zyklus), Bayreuth, the Concertgebouw Amsterdam, with Jean-Yves Thibaudet at the Spoleto Festival, Lucerne Piano Festival, Bunka- kaikan Hall Tokyo and twice at the Festival Piano aux Jacobins (Toulouse). 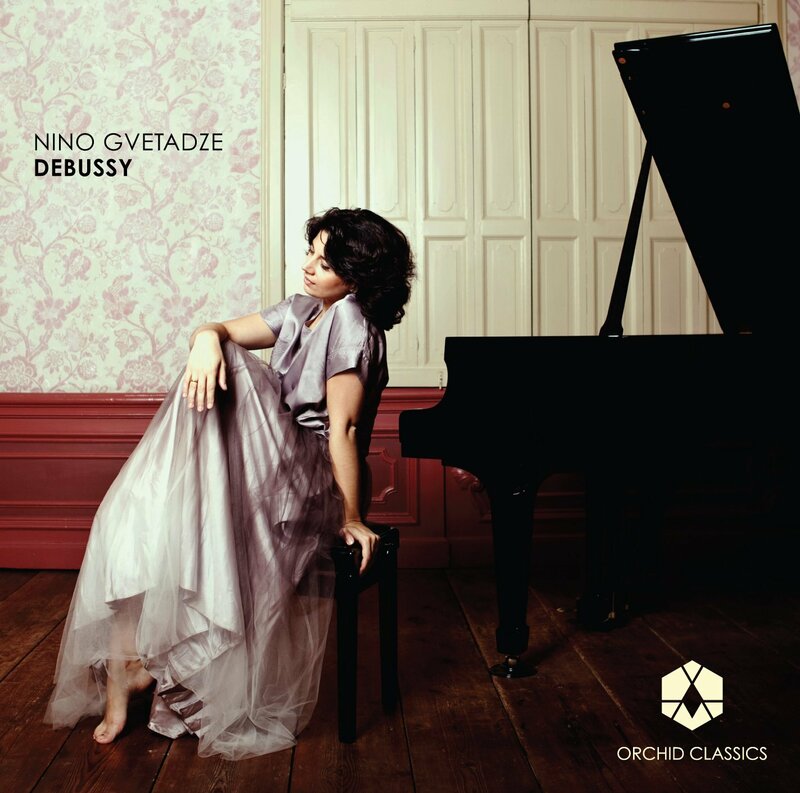 Nino has recorded three solo CDs: piano works by Mussorgsky (Brilliant Classics), Rachmaninoff Preludes Op.23 and Op.32 (Etcetera) and “Widmung” with Liszt piano works (Orchid Classics ORC100017). Her recordings and interviews are often broadcast on European radio and TV Stations. Nino plays on a Steinway Grand Piano, kindly lent to her by the Dutch National Music Instrument Foundation.